Come see why our massage therapists say we’re Different and they love it! Are you a Massage Therapist who is looking for a studio where you will be encouraged and supported to use your knowledge, skills, and training to provide customized massages to a variety of clients? Our goal is to build the perfect massage therapy family of employees, where you WANT to come to work! Because we were founded by a massage therapist, we do things just a little differently. We'd love to show you what makes us special! Following our proven systems for providing a superior massage therapy experience for your clients and members. Must hold a New Hampshire state license or certification, or in the process of obtaining licensure/certification. 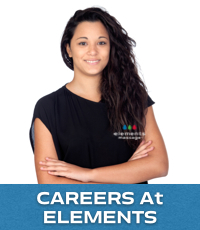 Are you interested in joining the Elements Massage family today? I acknowledge and agree that I am applying for a job with Elements Massage® Concord.